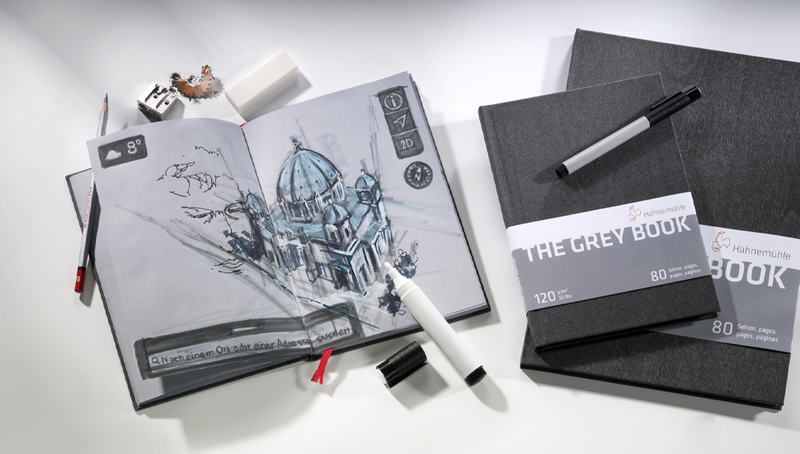 These Hahnemuhle ‘Grey Book’ 120gsm Hardback Sketchbooks feature 80 pages of smooth, light grey drawing and sketching paper. 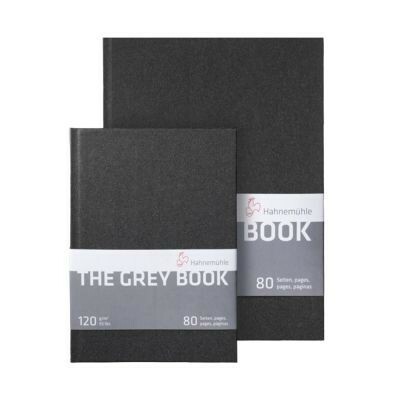 This grey paper gives a medium toned surface on which to work and can be used with a wide variety of drawing and sketching techniques. You can utilise the mid-tone of the paper so that you no longer have to render these values with your pencil, allowing you to both save time and create dramatic contrasts between light and dark. Use your darkest charcoal or graphite to create the deepest of shadows and use white or pale toned pencils to add brilliant highlights. The striking contrasts will really bring your artwork to life! The sketchbook pages are bound in several layers and finished with a dark grey anthracite coloured hardback cover. The pages sit solidly as they are thread stitched, allowing artists to flatten the book to work across a two page spread. The sketchbook also features a red ribbon bookmark stitched in the binding. The smooth surface of this paper means it is compatible with lots of drawing materials including indian ink, fountain pens, acrylic markers and most other water-based pens that give little abrasion.